Moiré fringe is an optical phenomenon first discovered by French researcher Moore in the eighteenth century. From a technical point of view, a moiré fringe is a visual result of interference between two lines or two objects at a constant angle and frequency. When the human eye cannot distinguish between the two lines or two objects, only the two lines or two objects can be seen. The pattern of interference, this optical phenomenon is the moire fringe. Moire fringes are a potential problem for halftone screen printing. The so-called halftone printing is a method of expressing a layer by successively adjusting a original to be decomposed into dots of different sizes by photographing or other methods. 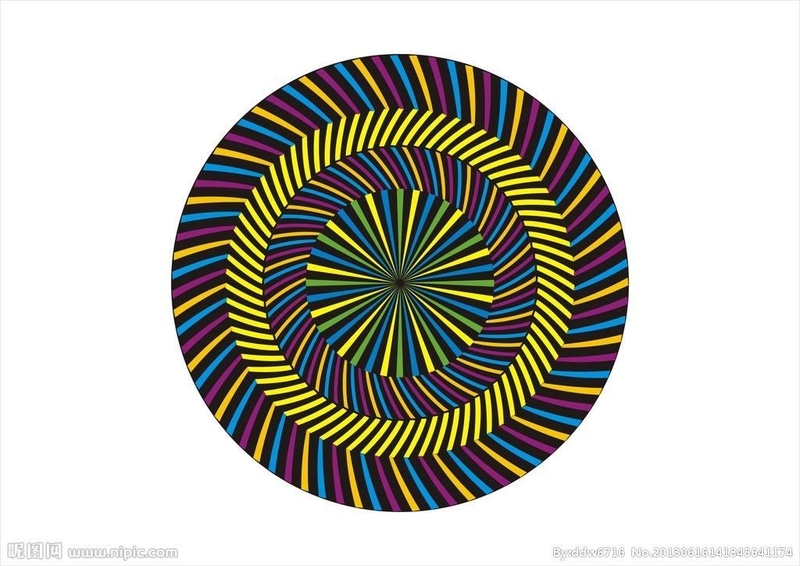 The dark call prints a larger dot to express, and the bright call prints a smaller dot to express, and interference between the dots of the same color, especially the multi-color printing or the four-color printing dot, forms a moire fringe. The moire fringes formed between the dots are a common problem in all levels of screen printing. The dot and the screen can also form another form of moiré, the distribution of such moire on the screen can produce an illegible pattern that is significantly different from the original. 3. As an additional factor, interference occurs due to the nature of the substrate itself. The purpose of using the Moiré stripe protection system is to predict moiré fringes based on the mesh size, number of screen lines, number of screens, and screen angle you have selected. How to choose fixture gear of cylinder screen printer? 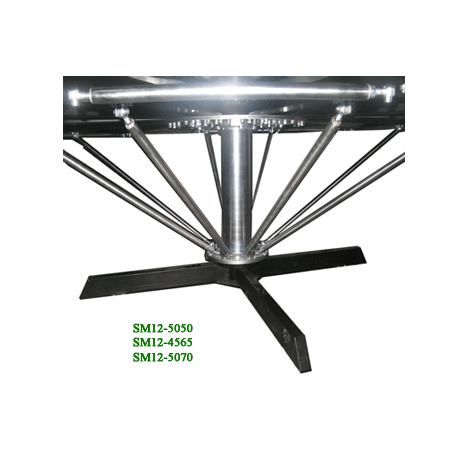 Both semi-automatic cylinder screen printer or automatic cylinder screen printer, always in the shaft end of the fixture is installed, install a gear for the network version of the reciprocating motion into rotational motion of the cylinder substrates. Select this gear is very important: For standard cylinder, as long as the measurement of the diameter of the cylinder, it can determine the number of teeth of the gear, a normal gear modulus of 1, then the number of teeth is equal to the diameter of the cylindrical products. For the cone, if the taper is not great, the diameter of the intermediate section can be selected to determine the number of teeth of the gear. If the taper of the cone is larger, can be divided into two sections to print. In fact, the screen printing of the cone there is always a big end of the compression and the small end of the oil return. Similar to the silk screen and the cylinder of the ellipsoid products, we can think of the one surface of the ellipsoid as part of the cylinder to the printing, due to the rotational center of the oval body is not the rotational center of the spheroid, the need to produce eccentric jig to achieve the purpose. The end of the shaft diameter of the gear and the diameter of the transmission gear. When the length the gear indexing Park diameter greater than the diameter of the product, it is clear that the gear has been rotated in the same length of the Product leaving traces! In this way, the graphic on the screen will be stretched printed to the product surface. Conversely, if the diameter of the gear indexing park is less than the diameter of the products, then the teletext halftone compression printed onto the surface of the product, these are not allowed! How to stamp on ribbon? There are a variety of surface decoration ribbon: screen printing, sublimation transfer printing. In the drum-shaped surface of gilt ribbon has a direct and indirect gilt gilt two processes. The so-called indirect hot stamping, screen printing is the first with fully automatic screen printing machine hot stamping the surface of the ribbon paste, then transfer with a thermal transfer machine. This method of gilding with full text, three-dimensional features, but a large equipment investment. Directly on the ribbon is directly gilt gilt surface. Using hot stamping machine, there are two, one is the volume of the platen roll ribbon stamping machine, stamping machine such slow. The other is a round flattened Roll ribbon stamping machine, stamping his copper rollers, the speed is faster. But production costs are higher copper roller. Every time stamping need to produce different sizes of different diameter cylinder. How to stamp License plate ? Almost all types of stamping machine can be used for stamping license plates. However, if the user's main product is a plastic licence plate, then customized according to the size of the license plate of a dedicated tipping machine will be a lot easier to use. Special license plate stamping machine hot plate more emphasis on smoothness, is an Israeli company that we custom license plate stamping machine with a thickness of 50mm steel plate, and after grinding, its flatness and dimensional tolerances are minimized. Key pressure bronzing machine is also completed with high quality stamping, KC brands unique crank mechanism can achieve maximum two tons of pressure, which are those that are totally cheap tipping machine can not match! In China , the brand KC Manual garment printing machine more expensive than screen printing machines made in zhejiang and shandong province , but still subject to a number of high-end users, especially large-scale garment printing plant favor. The reason is that we use the high quality materials precision manufacturing . 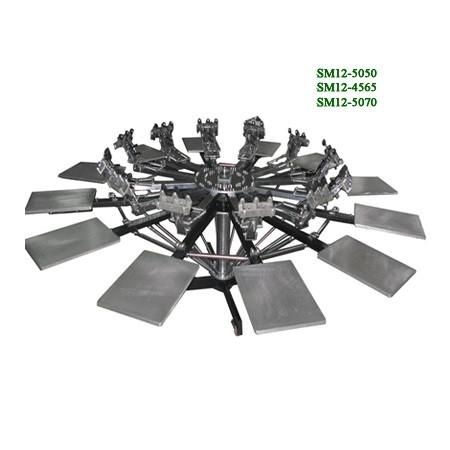 Garment printing multicolor screen printing machine mainly uses the center of rotation of the design approach, the same table and screen rotation around the center of rotation for a while and multiplayer manipulation , greatly reducing the labor intensity . 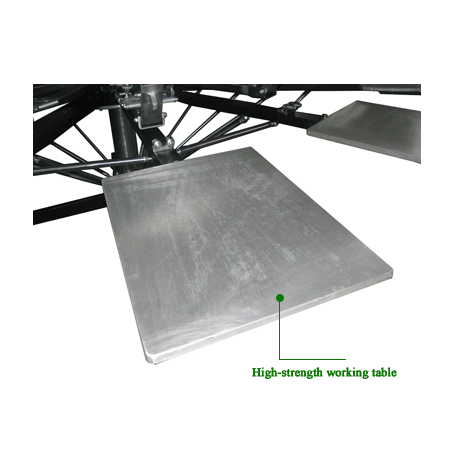 Table with 10mm thick aluminum plate manufacturing, good stability, coating and adhesive removal platen is very convenient, especially resistance to corrosion than the template . Printing machine Rotating disc made by grinding and A3 steel plating, high precision, and a number of manufacturers to adopt it after rough machining of castings is clearly not the same one level. Two times during the rotation of the turntable relative position control accuracy is particularly important, it is the core technology of multi-color printing machine . Of course , many users do not ask for the accuracy garment printing . What is a pad printing machine? The pad printing machine first appeared in Europe, and the “pad” was used to transfer the pattern on the plate, so it was called “Pad printer.” It was actually an indirect printing method. Pad is an intermediate carrier made of silicone rubber. It should be called a plastic head printing machine. However, this method of literal translation is not enough image, and Hong Kong practitioners first translate it into a pad printing machine. The pad printing head is very soft and easily deformed, so the pad printing machine is very suitable for injection molding products with complicated shapes. At present, there are more than 30 factories in China that produce pad printing machines. The more famous brands are KENT, WINON, Etc.